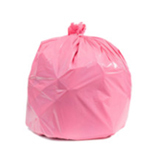 For kitchens and offices that don’t regularly deal with sharp trash, but want a high-performance garbage bag at a great price, these 22-micron thick high-density bags offer the best of both worlds. 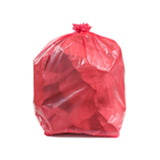 High density plastic is thin but strong: it uses less material in the manufacturing process, which means a lower price point. 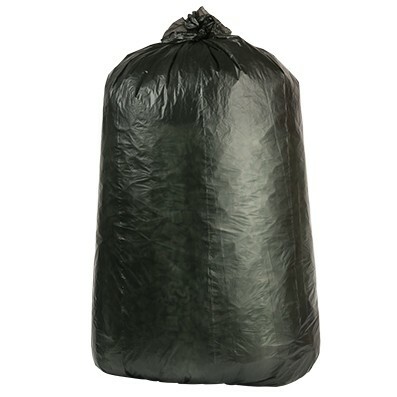 These 55 to 60 gallon bags can hold up to 100 lbs of garbage, and their star seal means they can handle even soaking wet trash without leaking. 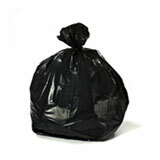 These heavy duty black garbage bags have been made right here in America from superior resins. 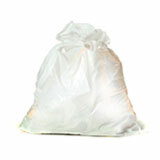 The bags are good, but not as thick as we thought they would be. Thank you for taking the time to review with us! 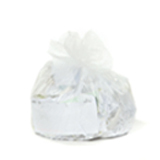 In general High Density bags are thinner, filmy bags that are an excellent cost effective solution for paper and tissue waste. 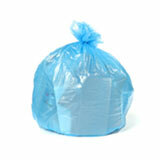 If you are in need of a thicker bag, try out our W55LDB1. It should work out nicely for you! Thank you for taking the time to give us your feedback - it means a lot to us. I am sorry for your frustration as I'm sure this experience must have been very aggravating. Unfortunately, the bags you ordered were High-Density bags. Although High Density sounds like it is super strong and thick - it is not. 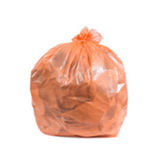 High-Density bags are thin and can not handle anything sharp which is why they are recommended for use in offices and bathrooms were soft trash such as paper and tissues are being disposed. 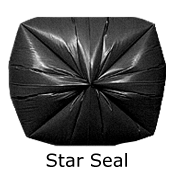 These bags are not puncture resistant which means that as soon as they come close to something sharp, not only will they get a hole but they will tear all the way through. 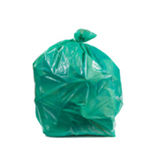 If you were looking for a bag that is thicker and more puncture resistant, you are probably going to need a Low-Density bag. 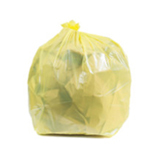 As always, we strive to reach 100% customer satisfaction which is why our Customer Service department will be reaching out to exchange the bags you currently have for the bags you are looking for.